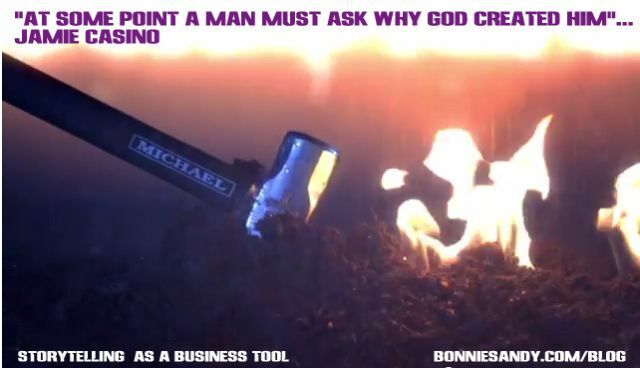 “At some point a man must ask why God created him”… Jamie Casino. This looks more like a trailer for a movie than an ad for a personal Industry lawyer, but with this one 2 min stab at storytelling this attorney has altered his course. Yup… few who have watched the video, would have picked up on this. Casino tailored his story and where it appeare, to appeal to abiding, church going, good vs evil middle America. The type of client who hesitate using “regular” personal injury lawyers. His is an ‘ordained’ cause. This is one I’m sharing with every business owner I work with or who will listen. More Importantly how do you tell that story on a local business budget? Creative strategy is needed and customized solutions or the “how to” of creating them can be taught or outsourced, We can count on seeing much more on this topic.